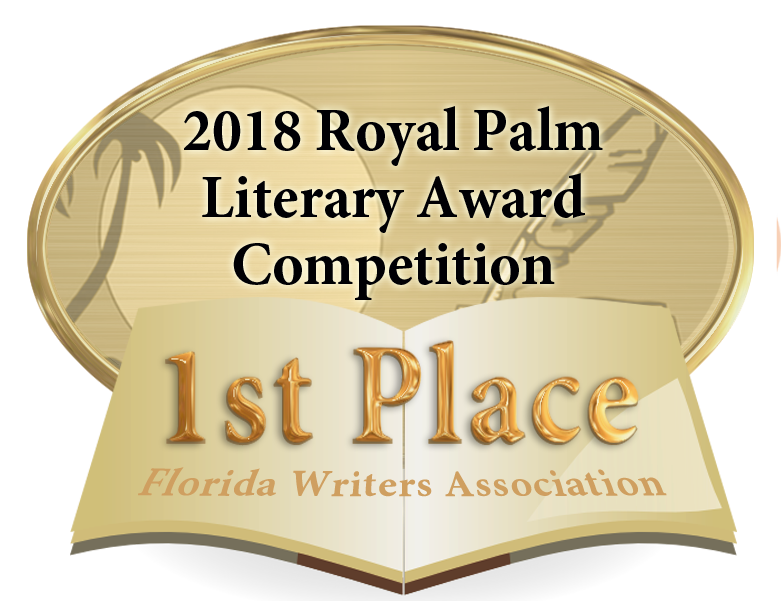 Florida Writers Association Royal Palm Literary Showcase: “Capture a Feeling of Place” by Ruth Coe Chambers, February 8, 2019. First Coast Connect, 89.9 WJCT: Author Ruth Coe Chambers discussed her award-winning novel, House on the Forgotten Coast, and the rich history of the hurricane-devastated Panhandle with host and producer Melissa Ross, November 6, 2018. Download the podcast of the program or listen online. The conversation begins at 32:32. “[House on the Forgotten Coast] is everything I hoped it would be and a bit more. . . the author bewitches you with her narrative, by giving you characters you feel attached to at first meeting and with a back-story from one century into ours. . .
“The beauty of the novel is how intensive you feel connected to this story, of how your heart is submerged so wholly full into Ms Chambers’ vision of it, you cannot disconnect. . . Give yourself to this novel, don’t hold back — take the steps you need to transport yourself into a threshold of time where love and the protective arm of grace can set free all hidden secrets. You will ache to return, to re-live this story and re-see it through new eyes which understand more than you did originally. “I was so captured by this author’s vision for this novel, I hungered to read more of her collective works. [It’s] the subtle way in which she uses the craft of writing to speak more than the words spilt onto her pages — there is a lived history of her own tugging at the edges where the ink has lost its trace. . .
“. . . a really fun read! Definitely one that you can pick up and get totally lost in! . . .
“If you enjoy reading fantasy, mystery or magical realism, I think you will really like this book. . . . [T]his is the type of book you will discover new details each time it’s read." “House on the Forgotten Coast was a fun read! There was a mysterious, whimsical touch to the plot line that made for a very engaging reading experience. . . . The characters were well fleshed out, and the dialogue believable, and I found that the general easy flow of narrative made this a perfectly pleasant read. . . . I thoroughly enjoyed the small town, cozy feeling of this book. “I enjoyed the protagonist, Elise, very much. She comes to this new town on the expectation of her own misery, and instead finds comfort in exploration and observation of this new fascinating town. It was sweet to remember my childhood through her curiosity. “The author brings the story and the small town alive with her words, and makes this book very hard to put down. “Ruth Coe Chambers has created characters that are complex, engaging, and unforgettable. The house on the northwest coast is perhaps the most complex and unforgettable character of them all. Chambers paints vivid pictures of the sleepy fishing village of Apalachicola as it grapples with a haunting past and an uncertain future. . . .
“If you like strong characters, tension-filled story lines and a touch of mystery, then this book is for you. If you are looking for a book that is next to impossible to put down, this book is for you. If you enjoy the beauty of small towns, old homes and the stories they harbor, this book is for you. First Coast Living, WTLV Channel 12: Author Ruth Coe Chambers discussed her new novel, House on the Forgotten Coast, with First Coast Living host, Casey Black DeSantis, October 19, 2017. Watch the interview online. 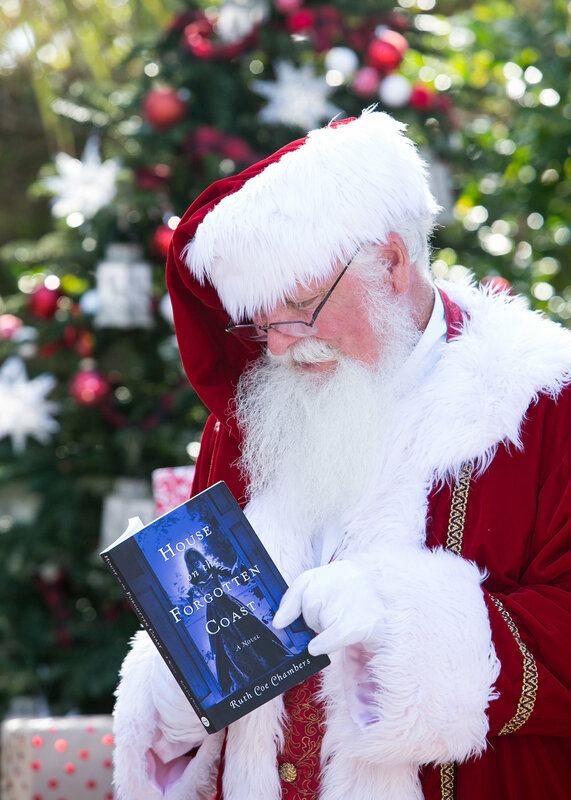 Santa was seen reading House on the Forgotten Coast! Signed editions make wonderful gifts and are available from The BookMark, an independent bookstore in Neptune Beach, Florida. The BookMark, located in Neptune Beach, FL, hosted a great book launch reception and reading event. Friends captured photos of the evening.